Antonio Ortiz is an experienced attorney capable of advising companies and individuals on a wide range of legal and business issues. He focuses his bankruptcy practice on a wide range of disputed matters, including representing debtors and creditors in commercial bankruptcy and reorganization cases and in disputes, which involve preferential and fraudulent transfers. He focuses his commercial litigation matters on business torts, including contract dispute litigation, deceptive trade practices (DTPA), breach of fiduciary duty, and fraud. 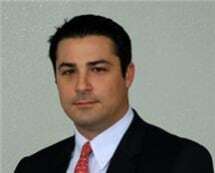 In addition, Mr. Ortiz has been involved in numerous loan workouts and has broad experience in representing borrowers in all litigation settings. A significant portion of Mr. Ortiz’s practice also focuses on commercial construction disputes, including evaluating and defending against lien claims (including mineral liens), advice about lien rights and remedies, negotiating with owners, subcontractors, and suppliers, and resolving disputes through negotiation, mediation or litigation.